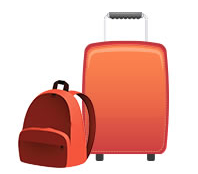 Send your luggage to and from Sheffield University with My Baggage! 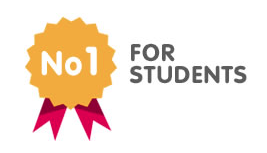 My Baggage is the No.1 student shipping company for Sheffield University students. We offer fast, reliable and affordable student shipping services. We help thousands of students every single term! Sheffield University offers students an exciting learning experience in a culturally and economically vibrant city. My Baggage offers student luggage deliveries throughout the city of Sheffield, including delivery to the university’s student accommodation Ranmoor/Endcliffe and even the city based accommodation. No matter where you choose to live during your time at Sheffield University, My Baggage can help you transport your luggage easily at the beginning and end of term. If you’re off to study at Sheffield University, My Baggage is the most convenient and reliable way to transport your luggage there and back. All you have to do is start by getting a quote on our homepage. Our easy-to-navigate online booking system only takes a few short moments to complete. 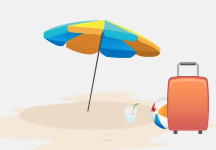 You’ll need the size and weight of your luggage, as well as your address details to complete your booking. Once you’ve booked, we’ll take care of the rest. We’ll collect your item and deliver it straight to where it needs to go – saving you from all of the hassle. Affordable student shipping to suit a student budget. Convenient and reliable door to door service. Super fast shipping times, with Express services available. 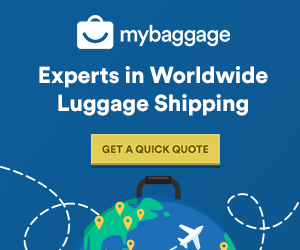 Luggage shipping to over 200+ countries worldwide. If you are living in a private residence or flat, we will collect and deliver your luggage to your front door. If you are living in halls of residence at Sheffield University, we will collect and deliver to your accommodation’s reception area or designated postal room. Please check this location before placing your order with My Baggage. Simply call your accommodation to get this information. Once you’ve booked your shipment with My Baggage, you will be given access to full online tracking, as well as SMS and email notifications. This will allow you to monitor the step-by-step progress of your shipment as it makes its way to its destination. The tracking information will update to let you know when your luggage is out for delivery, so you’ll know exactly when to expect it. For that extra peace of mind, if you happen to have any questions or concerns along the way, we have an excellent customer support team who can help via phone, email and live chat. Don’t hesitate to contact us with any questions you might have. My Baggage offers student shipping throughout the UK, as well as to and from over 200+ countries worldwide. So no matter where you are coming from or going to, My Baggage can help you transport your luggage to and from Sheffield University. We can help if you’re an international student travelling to and from Sheffield, or even if you’re travelling from Sheffield on your year abroad. My Baggage offers £100 free compensation cover on every single shipment. You can even increase this value right up to £1,000 for a small additional fee during booking. To make sure your items arrive with you at Sheffield University as quickly as possible, we offer super fast shipping times. With 1-2 day delivery within the UK and 3-4 days for international shipments. We even offer an Express service for both domestic and international shipments – so it won’t be long before your items arrive with you safe and sound. At My Baggage, our prices are calculated with students in mind. Using our service, you can send a box or suitcase weighing up to 30kg for as little as £16.99! We also have a fantastic ‘Price Match‘ tool on our website, so if you do happen to find a cheaper alternative elsewhere, just let us know and we’ll try our best to beat it. To see how My Baggage can help you, simply get a quote!